First sail in the Benjamin River. Under construction at the shop. 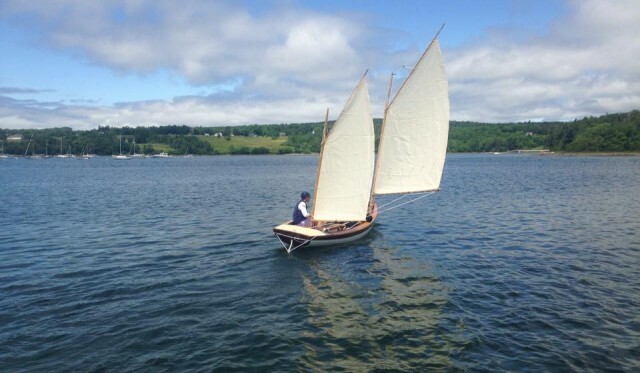 Back in 2004, we build a pair of boats to N. G. Herreshoff’s 1889 Coquina design called ZEPHYR and SUZANNA. 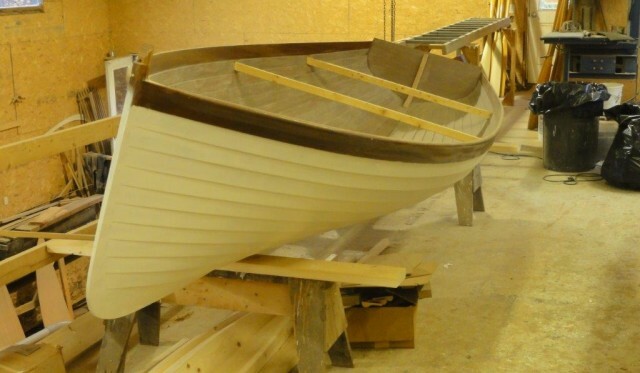 Now we have completed a third Coquina (also named COQUINA) for a customer who will sail her in Texas and Arkansas. 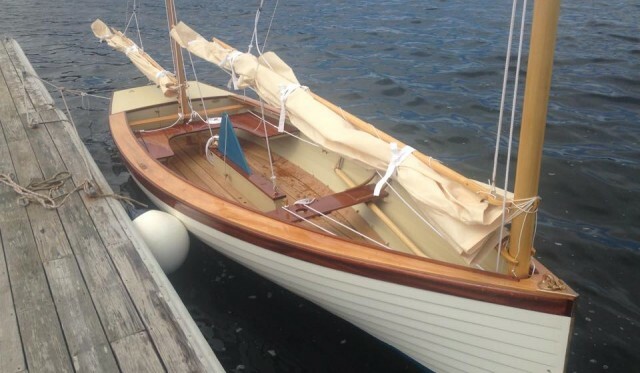 She was a surprise gift for a family of world class competitive sailors. We hope they will send some pictures of her in those waters!